Picturesque Carlisle, Massachusetts offers rural New England living just 20 miles from Boston. The town, which was first settled in 1650, is a tight-knit community of around 5,000 residents. It prides itself in being nearly exclusively residential. Only a handful of small businesses operate in the Town of Carlisle, and there are no apartment complexes, business parks, chain establishments, or shopping centers. Additionally about one-third of the town’s land is under strict conservation regulations that help preserve its pristine scenery, which includes fields, woods, wetlands, and even a cranberry bog. Carlisle’s emphasis on conservation and community has made it a popular place to buy a single-family home for home buyers who seek a very private or even secluded property. Nearly every Carlisle home has an ample backyard, and many feature acres of land. Additionally many Carlisle homes border large tracks of undeveloped land. Although the town features a variety of old and new style homes, Carlisle prides itself in having many classic New England style homes, even amongst its new construction. Most homes are mid-size or larger and offer both traditional and luxury features. Real estate in Carlisle, MA is more expensive than the Massachusetts median single-family home price. The median price of a home in Carlisle in 2013 was $690,000, up from $625,000 in the previous year. In 2013, single-family home sales ranged from a low price of $279,000 to a high price of $1,555,000. There were not any condominium sales in Carlisle in 2013. The last recorded median condo price in Carlisle was $374,500 in 2012. Despite its secluded feel, Carlisle is only 40 minutes from downtown Boston and is close to several major shopping centers and highways. Carlisle residents are just a few minutes from three major highways — route 3, I-95 and I-495. They also have convenient access to routes 2, 2A, 4, 27, 62, 111, and 225, which provide access to Boston, New Hampshire and various points north and west of Boston. Additionally residents are just a thirty-minute drive from New Hampshire. As a small town with a tight-knit group of residents, Carlisle is committed to providing quality education for its young residents. The town boasts a low student-to-teacher ratio, and the district consistently meets Massachusetts goals for annual yearly progress. Currently Carlisle School System consists of two public schools. One of these schools is located in Carlisle and serves students from kindergarten through eighth grade. The town’s second school, Concord-Carlisle High School, is located in the neighboring town of Concord, which jointly helps manage this regional school. Carlisle high school students are also welcome to apply to Minutemen Technical High School in the next-door town of Lexington. Additionally there are many prestigious private schools nearby, including Concord Academy (grades 9-12), Middlesex School (grades 9-12), Applewild School (grades K-8), and Fenn Boys School (grades 4-9). Carlisle, MA is also committed to maintaining a community calendar full of social events and activities. Residents of all ages can participate in the many educational workshops, hobby classes and intramural sports hosted by the town’s recreation department. 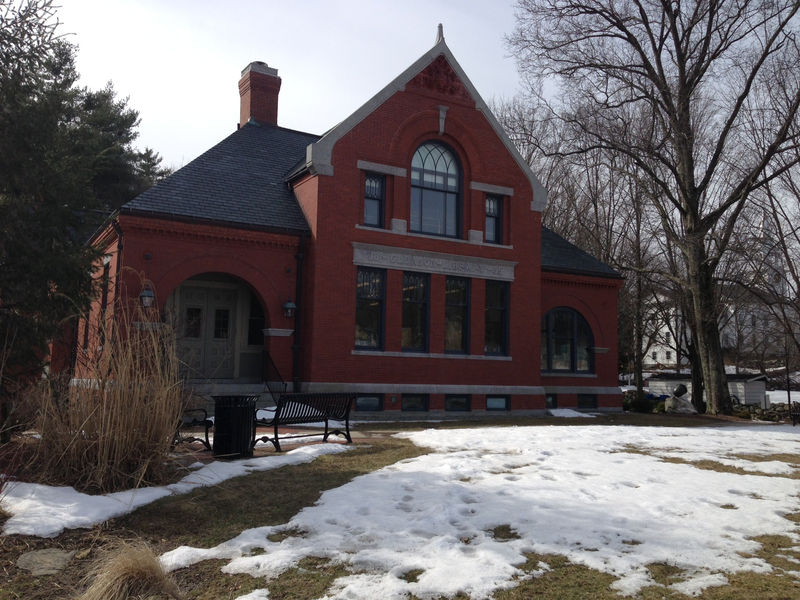 In addition residents have many opportunities to enjoy guest speakers, reading clubs and social activities at the town’s full-service Gleason Public Library (pictured to the left). For senior residents, Carlisle’s council on aging offers special elder-centered social activities, as well as free transportation, health and food services. Residents have two other great ways to enjoy Carlisle as well: the Carlisle Garden Club and the Savoyard Light Opera Company. The garden club helps landscape the town and organizes local garden activities for residents. One of the club’s most notable community events is its biennial Country Garden Tour where residents and nurseries open their yards and gardens to the public. Another excellent way to enjoy Carlisle culture is Savoyard Light Opera Company, which provides the community with opera, musical and other theatrical performances at Carlisle’s Corey Auditorium. There are also plenty of parks and open spaces for sports and outdoor activities such as kayaking, rock climbing and hiking. Among the most popular outdoor recreation venues in Carlisle is Great Brook Farm State Park. This historic farm, which is still active and raises Holstein cattle, offers tours and is home to Massachusetts’ first fully robotic milking system. In addition, the farm features 20 miles of trails for horseback riding, mountain biking, fishing, canoeing, and cross-country skiing. Home buyers who are looking for a rural-style New England home close to Boston and convenient to shopping and major highways may want consider Carlisle, Massachusetts. 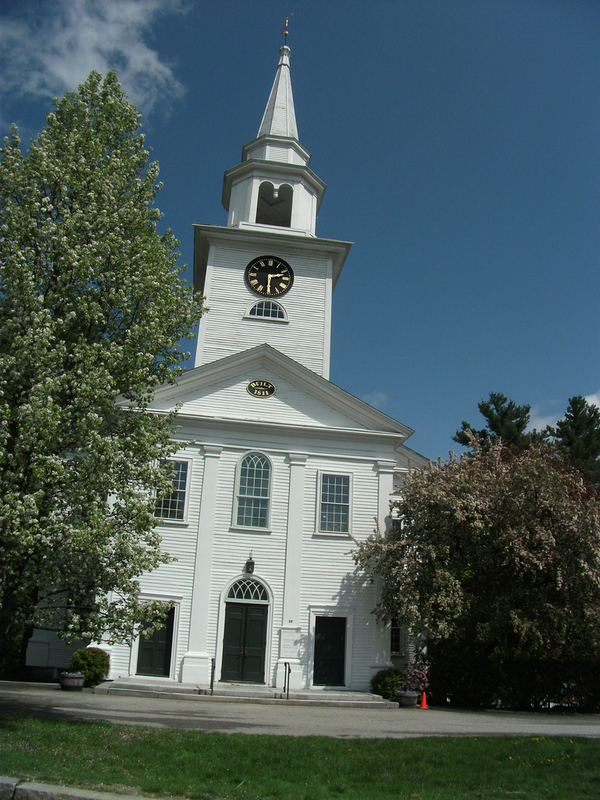 This charming town provides a great residential haven from Boston’s busy metropolitan areas. First Photo by Doug Kerr via a Creative Commons license.